5 Methods to Track Offline Conversions - and Plug Huge Marketing Budget Leaks. 5 Methods to Track Offline Conversions – and Plug Huge Marketing Budget Leaks. 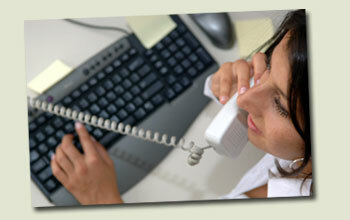 One of the most difficult challenges is tracking paid search performance via telephone calls for the small business. While a few will spring for a new 800 number or IVR system to get some of that information and train phone staff in its use, many cannot due to the workaday reality. Often the busy office environment means metrics go out the window in favor of just getting the order out, so the company continues to guess. This is especially true for companies who are struggling to find their sweet spot in the paid search world. During the day-to-day chaos, few are thinking about the cost of each call – they just want to answer it and do their best to change the caller into a customer. If the staff is so busy, do you really think they’ll drill down and get the “how you found us” information accurately recorded. It doesn’t happen. Pay-per-call and click-to-call offer “embedded” tracking, but are plagued with inventory and adoption challenges. My friend Christine (CC: Nice to see you at SMX!) created a great post on Offline Conversion Tracking, which covers some of the same ground, and this issue has often come up in conference sessions. As Greg Sterling points out, the vast majority of purchases are made offline, yet the tracking solutions are only just maturing, and others have a very healthy skepticism about some of the new solutions. The real result of this is the “leaking” of marketing budgets that happens with a lack of tracking. The dynamics of the purchase cycle are mysterious, making strategic and tactical solutions little better than guesses. I see basically four flavors of off-line conversion tracking from pay-per-click ads, and would like to introduce a hybrid. CLICK MORE to see the rest of this article. Customer question at POS means that you grill the customer during the call, asking them how they found you. Based on my experience, the best you’ll get is “I Googled You” or “I used AOL search.” Thanks to the complexity of ad networks and the inaccurate recall of humans, this method usually gives only about marginally acceptable accuracy – and only at the highest granularity. This can also include catalog IDs, coupons or other special numbers on the website that appear as a result of a certain traffic source as has long been done with print catalogs. Sometimes, associating free offers or discounts with these codes can significantly increase their utilization – but at added expense. “Poor man’s IVR” means that you have a different phone number displayed for paid search. Simple as that. On the PPC destination URL, you provide enough information that you can parse and process a parameter which causes your phone number to change, and to write a cookie which keeps it set to the same number for a period of time (e.g. 15 days.) Writing it to the cookie helps to manage the fact that many, many sites only sell after 3-4 visits. The part number modification method means that you append your regular, real-world part numbers or product descriptions with a tracking code that the customer perceives as important. The modification is then written to a x-day cookie on the customer’s machine. One phone orders, the system is low-friction and accurate, even when the customer is just getting pricing. The visitor will provide a part number that may include “-G12” which could represent “Google, Adgroup 5, Keyword 12”. This could be tied in with the IVR-extensions method as well where a correlation in part number modification and extension helps to keep things as simple as possible in reporting. …you get the jist of it. Clearly there is overhead to any of these tracking methods, but in every case it requires the paid search marketer to maintain a tight methodology. If the codes are out there and being used for experimentation, it’s important not to change them willy-nilly. Everyone must be on board with the intent, and the deployment, which encourages the involvement of everyone in the company in the conversion rate (ultimately the bottom line!) but in a way that causes very little extra work. And we all love that. I am an Account Manager for ClickPath and I wanted to thank you for the unsolicited plug :) If you are going to attend SMX West, please drop by our booth and say hi, ask for me by name. I was really intrigued by your part number modification method. Basically, it seems that you are placing a catalog id number on the end of a part number to give it added significance to the visitor. One question that I have about this method – if a visitor goes to a page with multiple parts, I guess each part number appear to have the same “-G0205” type tail? Maybe a suggestion would be for each part to have a different page? Please correct me if my logic is wrong here. Not sure, but I think as long as your consistent with the model, you can make it work in both scenarios. Not attending SMXWest – don’t have $3k laying around. I’ll be at SMX Advanced, tho. These conferences are killers for we independents when you add costs up. Caliber Data has a patent pending process that connects an online ad ‘click’ with an in-store purchase on any POS terminal. The advertiser pays a transaction fee only when the sale is made. This confirms the online ads effectiveness and eliminates the off-line conversion question.